MEGGLE stands for added value. MEGGLE means more; above all, more service. We are not simply a producer and supplier. We are your partner, your advisor, your development team. Whatever you need, you can call on our team of experts to help with all aspects of development, production, application, and processing of pharmaceutical excipients. You can rely on our worldwide network of application experts to assist you quickly. Whether you work with us as part of a coordinated contract production activity or innovative contract development project, our FormulaB development center aligns specifically to your needs and requirements. We share our experience and expertise with our customers and partners. Innovation is what drives us, and we are in constant contact with global scientific and educational institutions to our benefit and yours. MEGGLE is contract manufacturing various products for their customers also. With a broad spectrum of effort and state-of-the- art production equipment, MEGGLE is able to realize customer requirements quickly, reliably, and with the highest technical level. 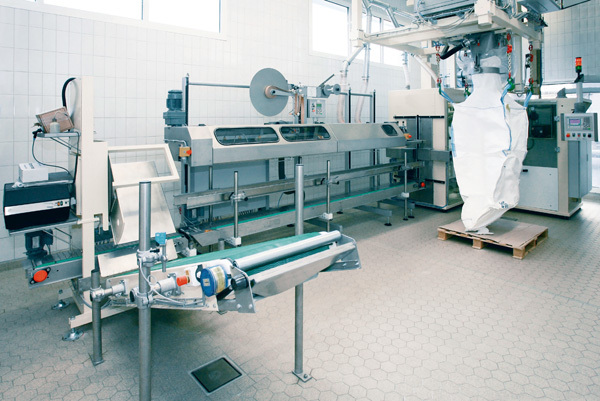 Quality Standards : ISO 9001:2015, ISO 14001:2004, FAMI-QS, HACCP, IPEC GMP, Process and Cleaning validation for pharmaceutical products possible. 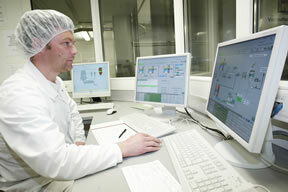 FormulaB is a center of excellence for the pharmaceutical industry throughout the world. It offers solutions in all aspects of solid dosage formulation from research and development and application advice to product optimisation. FormulaB is a joint venture between MEGGLE and INTERCHEM, combining the expertise of two leading specialists in their fields. FormulaB is a top modern, state of the art formulation center equipped with the latest innovations in formulation and production technology. 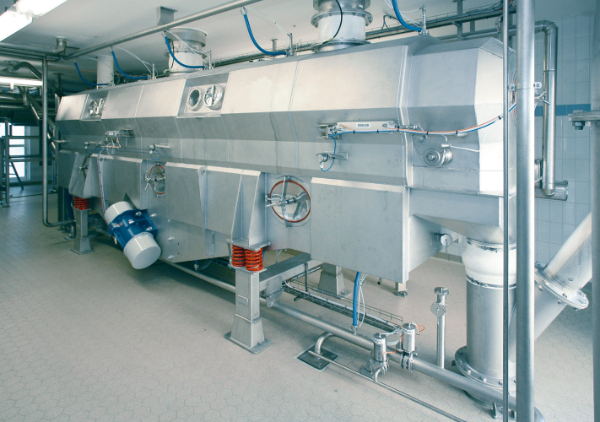 Continuous fluidbed drier processing fluidisable bulk products. 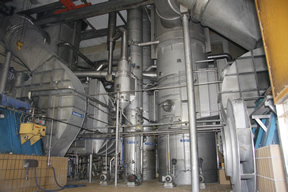 Continuous wet blender for production of agglomerated materials.